The Karl G. Jansky Very Large Array radio telescope has detected emissions, presumably from an aurora, generated by an unusual body 12 times more massive than Jupiter and generating a magnetic field 200 times more intense that is flying through space on its own 20 light years from Earth. “This object is right at the boundary between a planet and a brown dwarf, or ‘failed star,’ and is giving us some surprises,” said Melodie Kao, who led a recent study while a graduate student at Caltech. 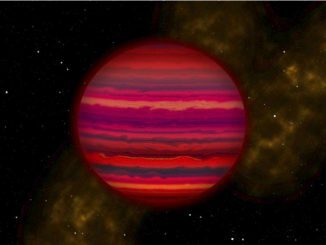 Brown dwarfs, objects that are two massive be considered planets but not massive enough to sustain nuclear fusion in their cores, were first predicted in the 1960s and detected for the first time in 1995. 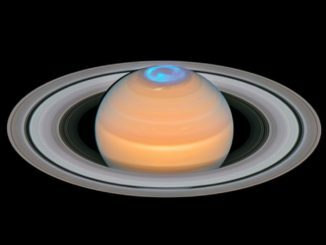 Some brown dwarfs have powerful auroras like those seen around the poles of Earth, Jupiter and Saturn caused by the interactions of a planet’s magnetic field and the electrically charged solar wind. 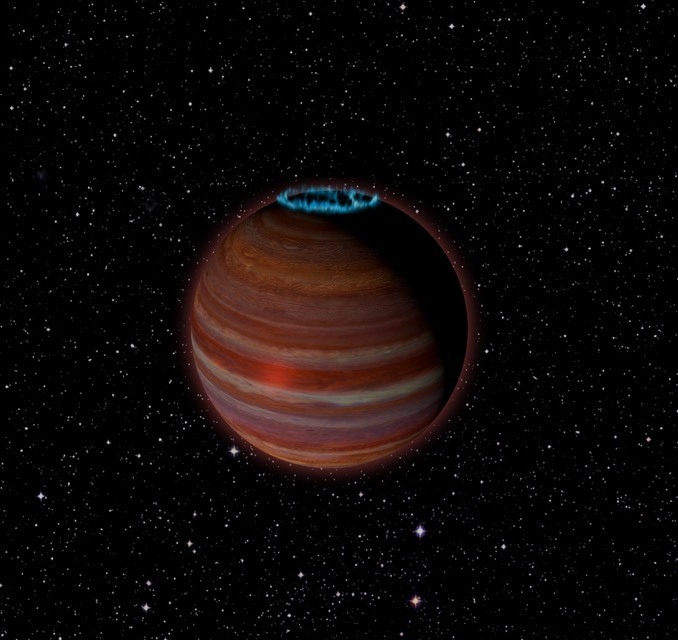 An unaccompanied brown dwarf like SIMP JO1365663+0933473, the object detected by the VLA, does not have a companion star and thus is not flying through a solar wind. But it’s possible an orbiting planet or moon could trigger similar interactions like the ones seen between Jupiter and its moon Io. In any case, the newly discovered body has a magnetic field 200 times more powerful than Jupiter’s and a surface temperature of about 825 degrees Celsius (more than 1,500 F). Whether it is a massive exoplanet or a brown dwarf is not yet clear. One rule of thumb in drawing the distinction is the mass below which fusion of deuterium is not possible – about 13 Jupiter masses. Since its detection in 2014, the brown dwarf known as WISE 0855 has fascinated astronomers. Only 7.2 light-years from Earth, it is the coldest known object outside of our solar system. Now, a team led by astronomers has succeeded in obtaining strong evidence for the existence of clouds of water or water ice — the first such clouds detected outside our solar system. Astronomers have uncovered a unique process for how the universe’s largest elliptical galaxies continue making stars long after their peak years of star birth. 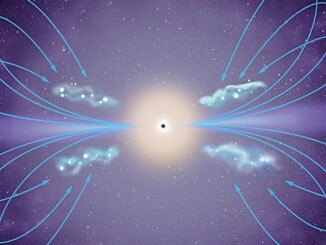 NASA’s Hubble Space Telescope revealed brilliant knots and chains of hot, blue stars forming along the jets of active black holes found in the centres of giant elliptical galaxies.